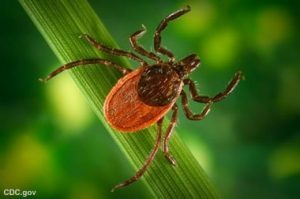 Did you know Plymouth County has the third highest incidence rate of Lyme in Massachusetts? Other diseases like Babesiosis, Anaplasmosis, Relapsing Fever, and now Powassan virus can all be serious as well. Come to this FREE program and learn more about ticks and how tick-borne diseases can be completely preventable. Larry Dapsis, Entomologist with the Cape Cod Cooperative Extension, will be our featured speaker. Larry has thirty-five years of professional pest management experience including vegetables, cranberries and household Insects. He joined the Cape Cod Cooperative Extension in 2011 as Deer Tick Project Coordinator and Entomologist and is a member of the Barnstable County Task Force on Lyme and other Tick-Borne Diseases. The workshop will review data on illnesses and infection rates and present a protection plan that will cover you, your garden, and your pets.